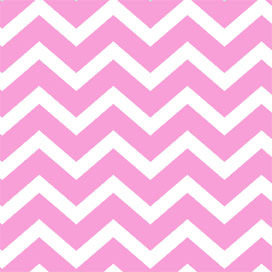 Light Pink Chevron 4 x 9 inch Cellophane Bags. 100 bags per pkg. Bag background is clear. Use for larger products, 1-2 smaller product deliveries, tying with a bow & making customers feel special. Gusseted - These bags have triangular sides (gusseted) so they will expand to hold more contents. They will sit flat if you have items inside that are weighted or will sit up by themselves. Bags are also food safe.